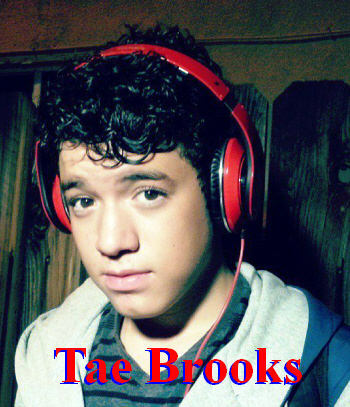 Tae Brooks The Rise Of a Teen Singing Super Star! 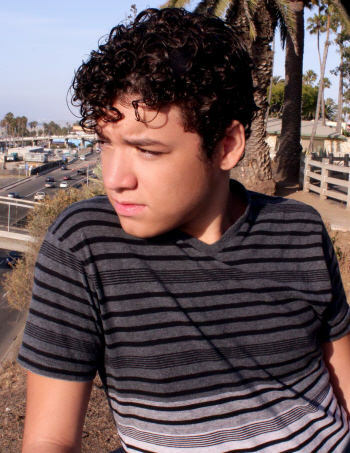 Tae Brooks is a 15-year-old singer/actor from Cincinnati, Ohio, now living in Los Angeles, California pursuing his dream of a career in the entertainment industry. Tae is not one of those kids who can say he always knew he’d be a singer, because in the early years, sports were his consuming passion. It wasn’t until the age of 10 when his family heard him singing in the back seat of the car that they realized Tae had exceptional pitch and tone. Tae first started using his skills when the family needed a background vocalist for artists recording in the family’s garage studio. This was a perfect way to teach Tae studio etiquette and how to lay harmonies and more. His first stage performance was in 2008 at a TAXI A&R Music conference in LA where he joined Mickey Joseph on the hook of “Can’t Keep ‘Em Off”, then introduced his first original “It’s So Easy”. Music seemed a natural career choice for Tae, considering he comes from a musical family. However, it seemed equally natural that Tae go into acting. His family always joked that Tae was a “human cartoon character” because he is so animated with a huge personality. When Tae was 12, a talent manager from LA met him at a class in Cincinnati and recommended that he come to California for the summer to try his hand at acting. He did, and the feedback was overwhelmingly positive. In looking at Tae’s goals as well as the future of the rest of the family, the decision was made to relocate to LA to be closer to the entertainment industry. So, in 2011 Tae and his family drove cross country to LA with only what belongings they could fit in a rental truck. Initially the plan was for Tae to simultaneously take acting classes while working with his dad and brother to develop him as a recording artist. As life would have it, right away Tae started getting attention for his spot-on vocals, so the family started him his own YouTube channel to post videos of him singing – and the rest is history. The first year was spent establishing him as an artist and building his fan base, which reaches to every continent on the globe. 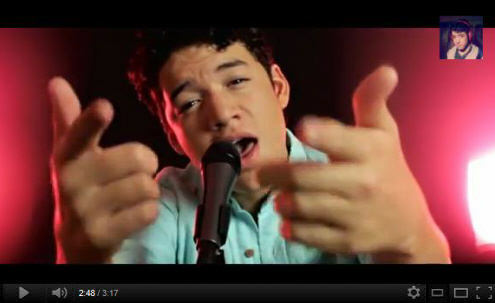 The exposure from his YouTube channel has fueled his rise as both an actor and singer. He’s booked numerous voice-over jobs including Disney 365 and taken 2 trips to Japan to work on a project developing curriculum to teach students English through song. The public face of Tae Brooks gives no clue of the struggles he and his family have faced and continue to face on this journey. It’s during those times you will hear someone in his family say, “That’s ok. On the other side of this we will have a story to tell.” A story that’s probably very familiar to anyone trying to break into an industry that is based largely upon who you know and/or how much you can spend. It’s a long uphill climb for the new kid with no outside budget. Through it all Tae and his team have remained committed to authenticity both in his singing and in his social media representation. It’s about keeping it real and making it on sheer raw talent and determination – bolstered by an army of supporters (many of whom call themselves Shawtaes) who believe Tae Brooks has what it takes for his dreams to come true. To date, Tae’s YouTube channel has grown to over 70 videos including vlogs, covers, and original music videos and is approaching 5 million views. One of Tae’s most recent music videos is a cover of Drake’s Hold On, We’re Going Home and features scenes from Tae’s recent trip to his hometown of Cincinnati – his first time home since leaving for LA. This year Tae’s focus has been preparing for the next level of his music career. He has been in the studio recording with well-known producers in the industry as well as working with his family and the Carriage House team writing and recording new originals. Tae currently has 4 singles on iTunes – Thumbs Up, Goodtimes, Dreams Come True, and Be Mine. Tae says he loves singing and performing live, and is energized by the response he gets to his music. Tae just smiles when people comment that he sounds just as good live as in his videos. Tae’s natural abilities paired with his dedication and the support of his team, lead us to believe he is poised for greatness. 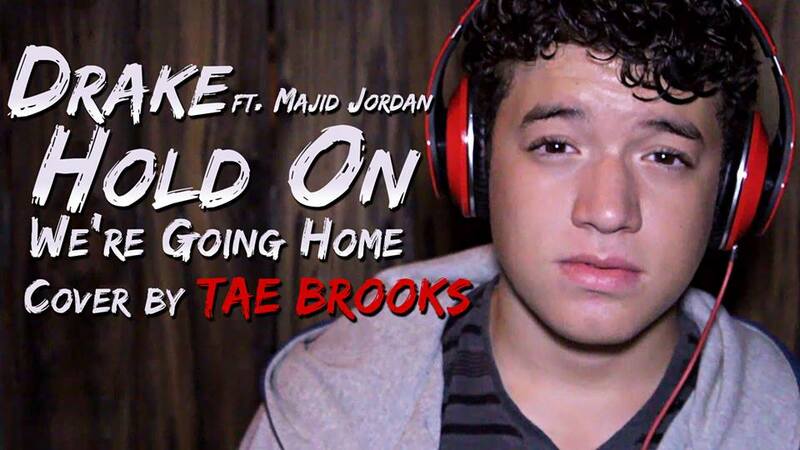 “Tae Brooks is nothing short of amazing. I personally have all his music on my mp3 player. His ability to sing with emotion that can be felt, coupled with his clear tone and perfect pitch has made me not just a supporter but also a fan. Tae has already amazed millions through his YT Channel and of course has a huge worldwide fan base that is enough to make any young artist exceptionally happy! Next Next post: Brendan Guy Canadian Teen Pop Artist On The Rise!